Mystica Lodge and Retreats is located just a short distance from the Arenal Volcano. Arenal Volcano is an extraordinary natural wonder that offers a myriad of adventures. This lodge exudes tranquility and offers a welcoming and nurturing environment that ensures its guests enjoy escaping from the daily harsh life. This eco-friendly yoga retreat and lodge is set in the marvelous hills of Sabalito and overlooks the majestic Lake Arenal. Here you will enjoy a secluded oasis surrounded by the crystal clear lake and rolling green hills. In this retreat center you will find villa and jungle houses that are ideally designed for the families and couples who want to enjoy more luxury and privacy. The location of the lodge is fairly remote and 1.5 hours from the Liberia airport. It takes 15 minutes by car to reach the local town from the lodge and you will need a vehicle or need to arrange transportation through the lodge itself. This lodge offers Yoga, healing, art, sports and adventure activities and ensure its guests enjoy complete comfort. There is an organic garden in the lodge property that grows exotic flowers, fruits and has many types of trees as well as different species of wildlife. There you will also find a natural pool that will allow you to refresh yourself. 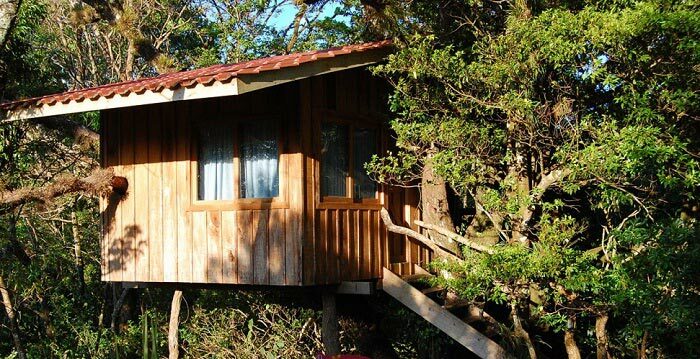 Nature lovers can stay at the tree-house that has a healing environment and they can stay close to the nature. During your vacation, you will find the place relaxing, peaceful and mystical and also enjoy the intimate true tropical hideaway. The main lodge features six beautiful rooms that include attached and fully stocked bathrooms. All the rooms are named on local animal’s names. In these rooms you will enjoy warm atmosphere and cleanliness. Each of the rooms are well designed and featured with all the necessary amenities and facilities that you need for enjoying complete comfort. All the rooms are constructed in a eco-friendly way and it allows the fresh typical climate and natural breeze enter the rooms easily. There are ceiling fans in each room but no air conditioner are needed for those rooms as the natural air keeps the rooms cool and pleasant. This lodge is ideally designed for accommodating maximum four people. There is a fully furnished and well decorated private villa that is nestled a few steps from the main lodge. If you want to enjoy a comfortable and memorable romantic getaway in this lodge and want to enjoy more privacy, you can stay at this villa. This well-designed villa is featured with all the facilities you have been craving. This private villa also features a fully stocked kitchen and beautifully tiled bathroom with a large shower. Guests can also enjoy having outdoor shower. You can enjoy watching stunning sunrise and sunset from the open terrace that has hammocks where you can take some rest. You can also stay at the other lodging-Ra Ma Da Sa House or Jungle Cabin-Hamsa. While staying at the Mystica Lodge and Retreat, yoga lovers can enjoy a variety of retreats offered by the center. 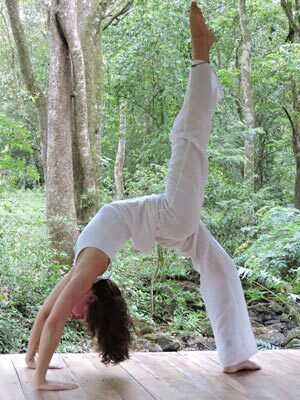 This lodge offers many retreats in Costa Rica all around the year and also a variety of Yoga retreats that are instructed by experienced Yoga instructors. Those instructors can customize the retreats and can combine Yoga with healing, massage and adventures. In this lodge you will find a Yoga sanctuary ‘La Esencia’ by the river. It is a covered, spacious wooden platform ideal for practicing Yoga workouts as well as for relaxation. An extraordinarily beautiful and unforgettable ambiance are offered by the forest here. Early morning Yoga sessions are offered by this lodge and these sessions are open for the guests of the lodge and also for the community. All the yoga sessions are instructed by experienced and friendly resident yoga instructors who design the sessions blending raditional Yoga techniques with Vinyasa techniques. All the sessions are customized for all level of yogis. Whether you are a beginner or an advanced yogi and want to develop your skill, you will find these classes perfect and will get benefited physically as well as psychologically by joining these classes. Here we write about our favorite and most exciting yoga retreats and teacher training centers around the world.